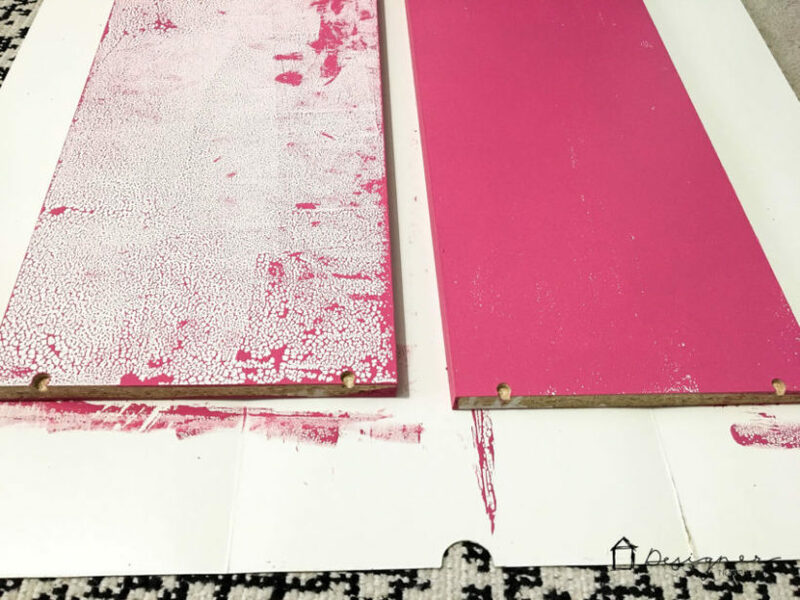 There is a vital trick for successfully painting IKEA furniture (or any laminate piece) and it doesn't involve sanding! I figured out the key to making it perfect and you won't believe how easy it is. 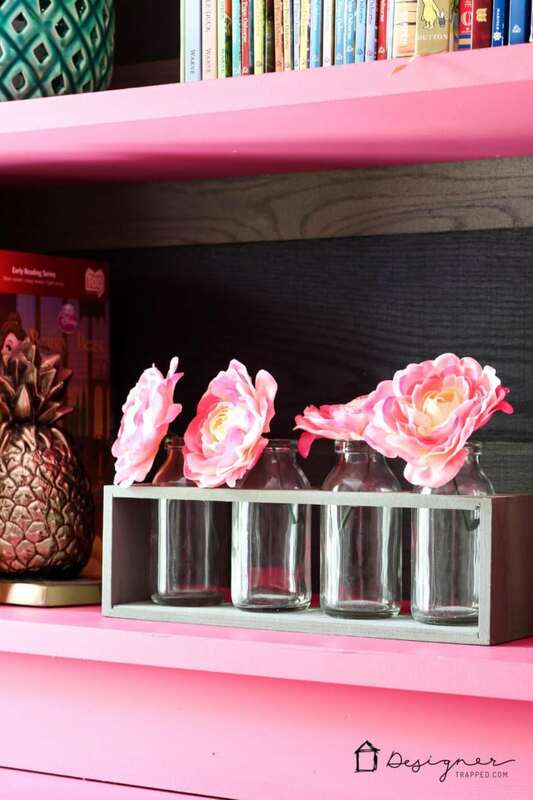 There's so much to love about Ikea! 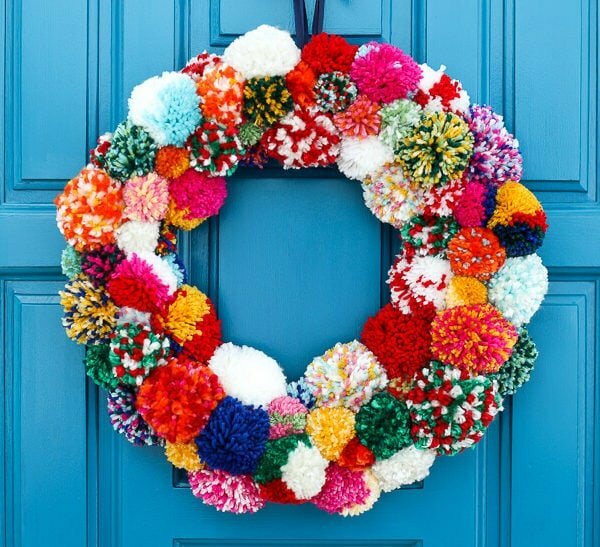 The prices are awesome, especially when you are trying to decorate your home on a budget like me. And a lot of Ikea pieces are stylish and durable. 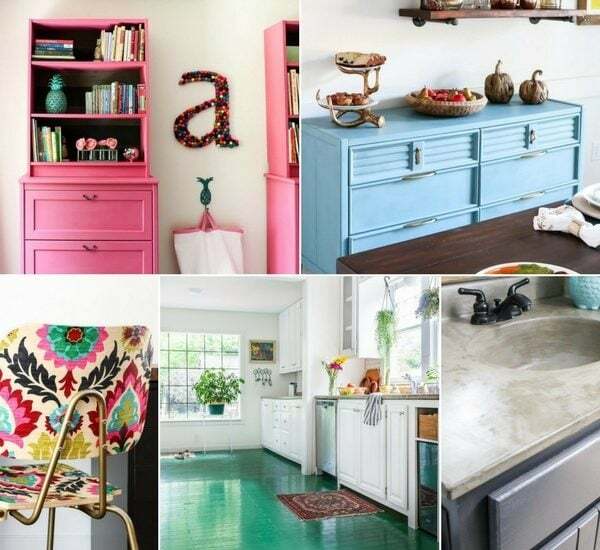 But there is one problem–there are times when you want furniture that isn't white…or black-brown…or walnut veneer. Am I right?! So what's an Ikea lover to do? 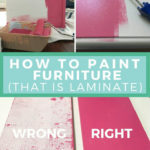 After all, painting laminate furniture can be really tricky. In fact, years ago I tried painting a Billy bookcase only to see the paint on it bead right up. So I wiped it off and gave up. But recently, I figured out the trick to painting Ikea furniture that makes it totally doable! Before I dive in, this is a tutorial for painting laminate Ikea furniture. If you have purchased a solid wood piece, the extra step of priming with the right primer shouldn't be necessary. 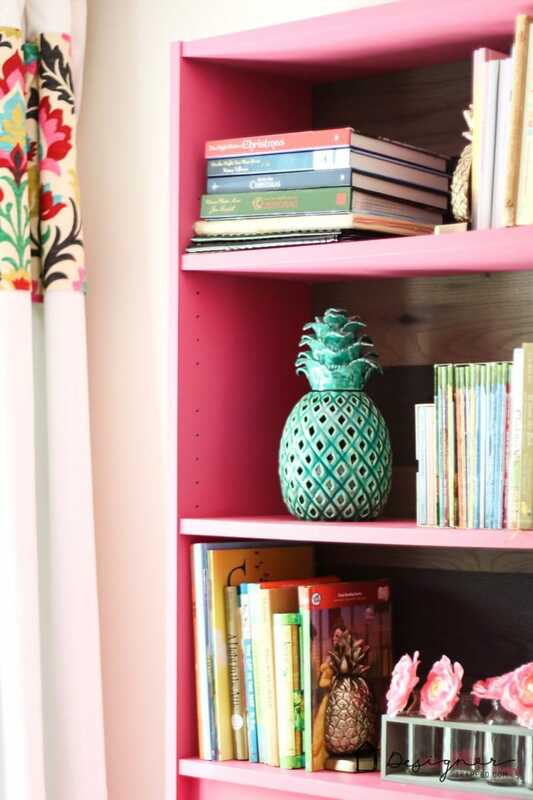 But, if you have a Billy bookcase or any of the other super popular Ikea pieces that are laminate, read on! This post contains some affiliate links for your convenience. Click here to read my full disclosure policy. And a big thank you to Amy Howard At Home for providing me with free paint for this project! Zinsser B.I.N. Primer–this is CRUCIAL. This is a shellac based primer. You cannot use a water-based or oil-based primer that you may be used to. Before we dive into the tutorial for painting Ikea furniture, let me show you something. The Ikea Billy bookcase shelf on the left was painted without using the Zinsser B.I.N. Primer. The one on the right has 1 coat of primer + 1 coat of paint. Yeah, the primer is VITAL. 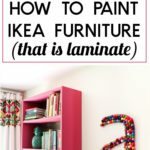 Soooo, now that you see why you have to prime with this particular primer, let's dive into the steps you need to follow to painting Ikea furniture that is laminate. 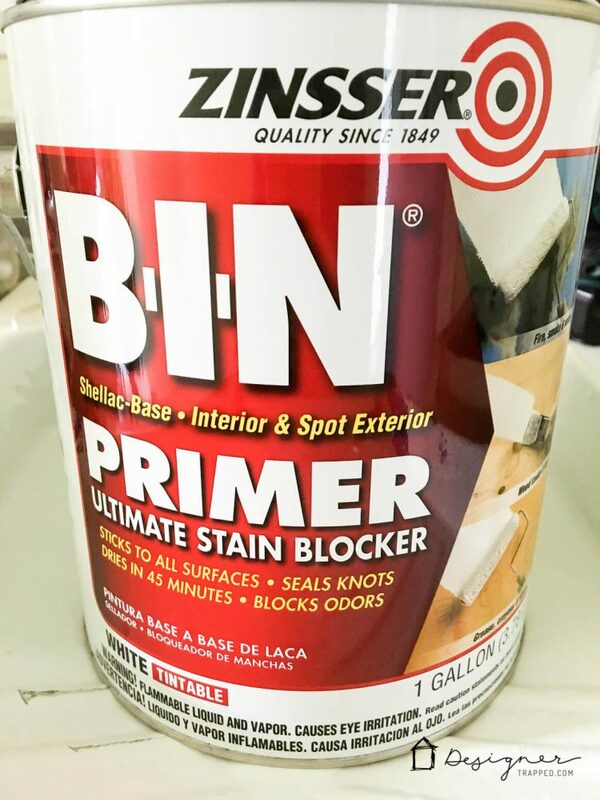 1) Prime all of your pieces using your Zinsser B.I.N. Primer. Allow the primer to dry. 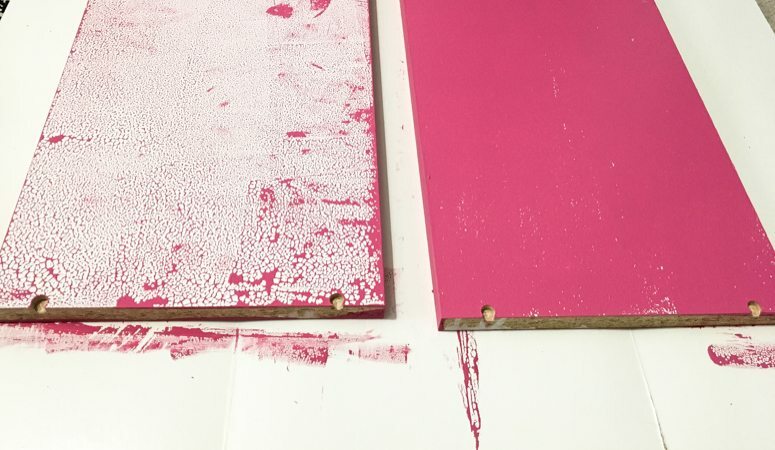 2) Follow the primer with one or two coats of your paint. I HIGHLY recommend a chalk-based paint. Latex paint is just not well-suited for painting furniture. 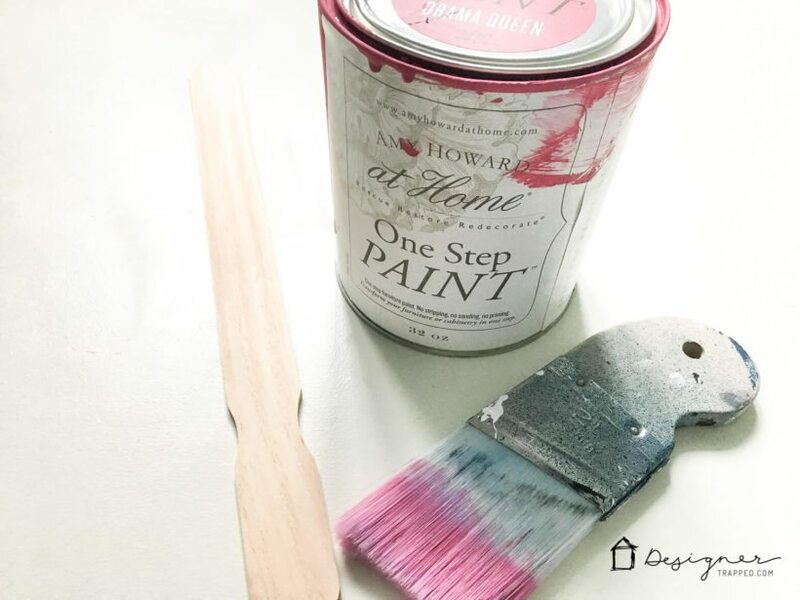 I am addicted to Amy Howard At Home One-Step Paint for painting furniture (and no, I'm not just saying that because they sent me this particular paint for free. I've used it tons of time here on the blog where I paid for it out of my own pocket, like when I painted some awesome campaign furniture that I bought out of a parking lot). 3) If you use a chalk-based paint, protect your piece with a layer of wax. I used Amy Howard At Home Light Antique Wax over my entire piece. That's it! It does take a bit of patience since you have to prime first, but it's well worth it to be able to paint Ikea laminate furniture any color you want! Check out the finished project. 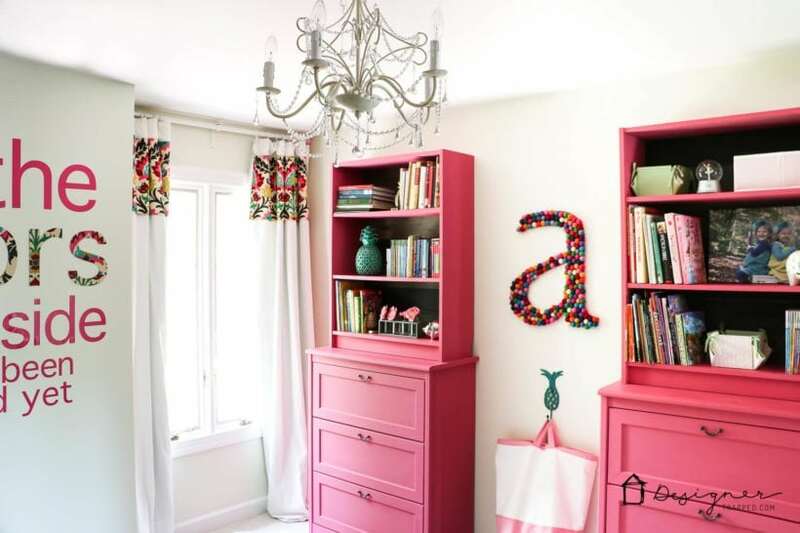 We stacked two 41″ Ikea Billy bookcases on top of Ikea Aspelund chests of drawers to create tons and tons of storage in our daughter's room! They are holding up fabulously and look great. If you want to see how we added that awesome pallet wood to the back of the bookcases instead of the SAD backer board that the Billy bookcases come with, check back for that tutorial very soon! 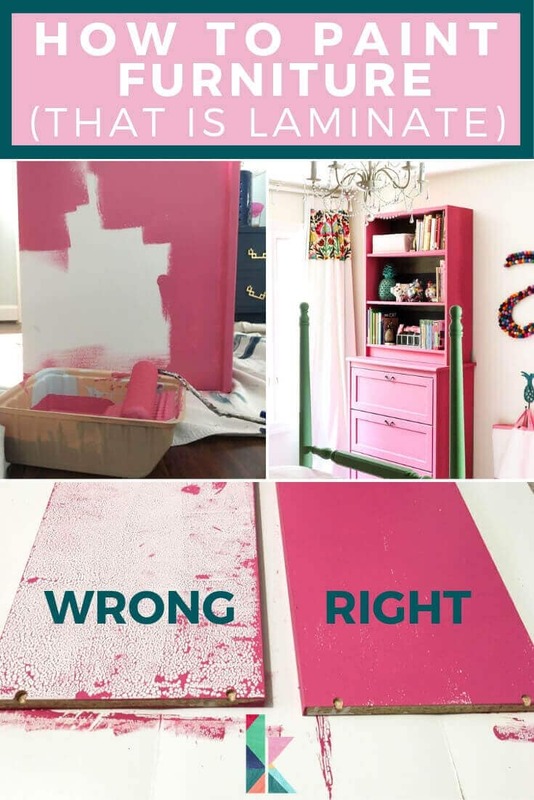 If you plan on painting Ikea furniture for yourself, be sure to save this post to Pinterest so you can refer back to it later! 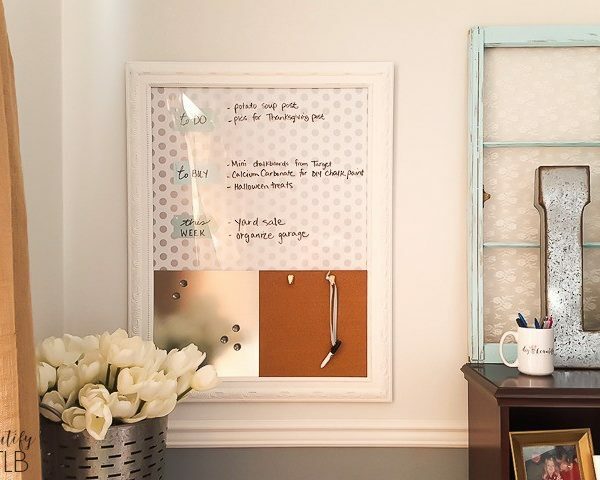 How to Make a Memo Board from an Old Picture! Love this room, Tasha! 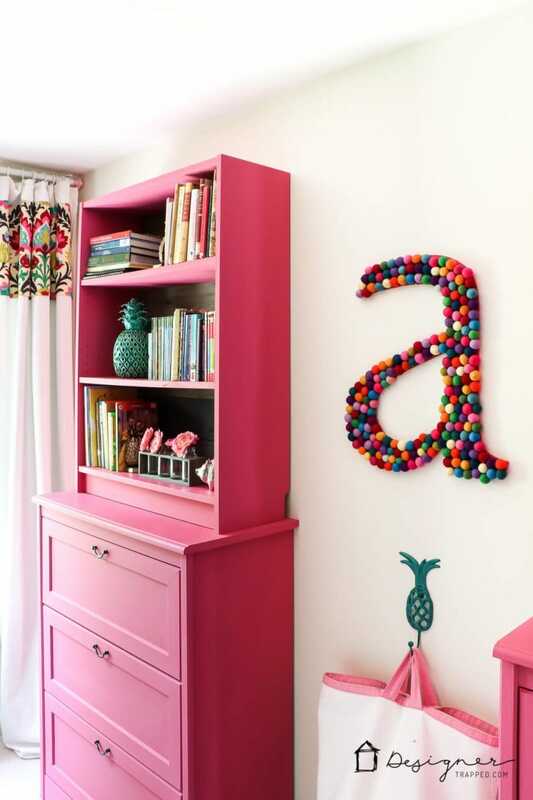 The A is so cute! I gotta try that one day. Enjoy! Thanks so much Julie! My daughter loves it. I’m almost entirely done with it, so stay tuned for the full room reveal soon! ← Our Fifth Walls Are DONE (Skylight REVEAL)!